Be part of a fun tactical urbanism installation that encourages walking. 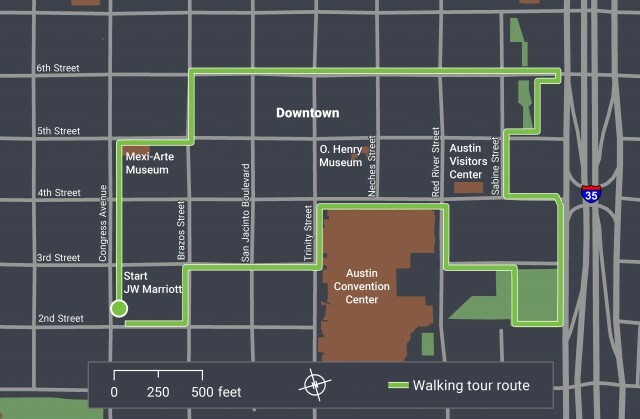 Tour participants will help install temporary signage that encourages walking and shows foot-times between major Downtown Austin attractions. Tour guides and participants will discuss fresh ideas for what we, as transportation officials, can do to make walking an appealing, viable way to get around. 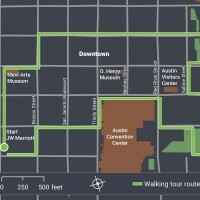 By tour’s end, you’ll have learned a “guerilla wayfinding” technique to encourage active transportation back home. This tour will travel on foot at a brisk walking speed. Participants are encouraged to wear comfortable shoes, wear comfortable business casual attire, and bring sunscreen. Refillable water bottles will be provided.